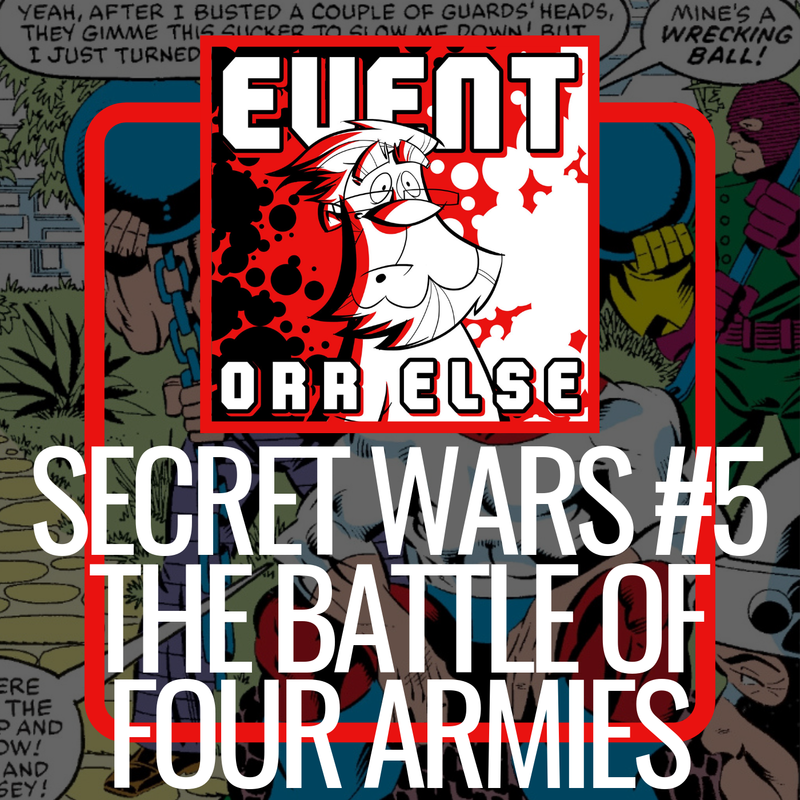 Event Orr Else – Secret Wars #5: The Battle of Four Armies! The Human Torch huffs gas with his alien girlfriend, Colossus falls in love with the Torch’s alien girlfriend, Doctor Doom turns down the advances of a goddess, and Molecule Man makes an example of Pile Driver. All this an more in issue #5 of Marvel Super Heroes Secret Wars from September, 1984.